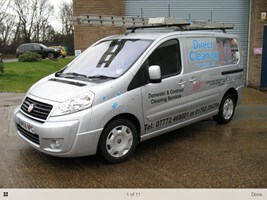 Direct Cleaning Services - Cleaning Services based in Hockley, Essex. We provide high quality cleaning services at very affordable prices. Started as a window cleaning service, we have been in business for over 70 years. We have steadily built our reputation with our customers over the years by offering high quality professional cleaning services. Whether you are looking for a one-off or regular cleaning service, Direct cleaning Services will provide a flexible, customised and responsive service.